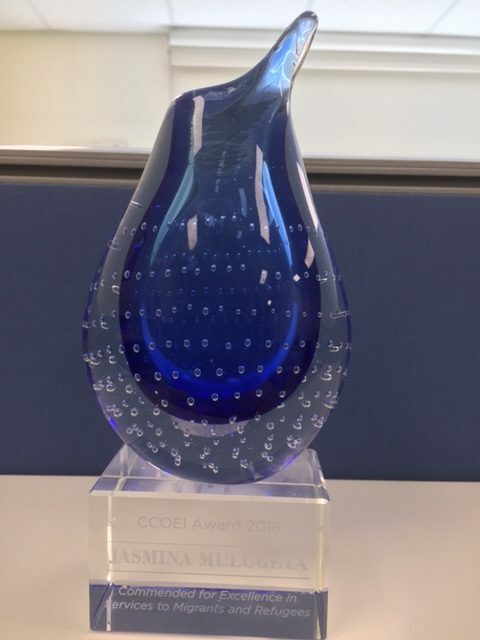 Congratulations to Jasmina Mulugeta (Manager South East) on receiving an Inaugural Excellence Award from the Communities Council on Ethnic Issues. 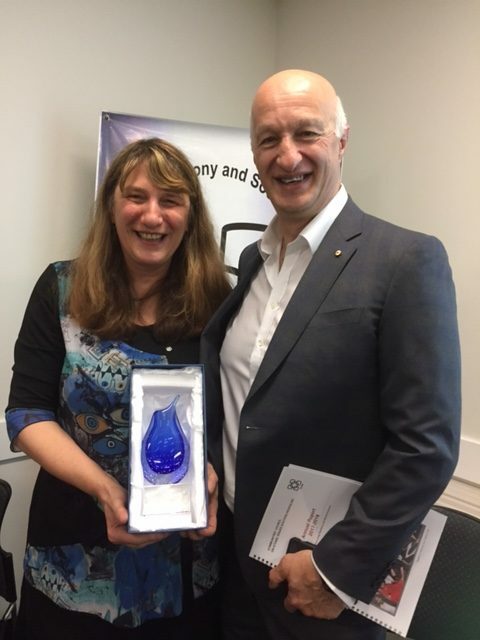 Jasmina received the award as a commendation for “excellence in services to migrants and refugees” over a 20 year period. Jasmina came to Australia on a skilled migration visa in the early 90’s having caught the last plane from the former Yugoslavia, the country’s border closing shortly after due to the war in the region. From two people in the family, they became four a few years later and are now a proudly multicultural family from three different continents. Jasmina has been working with refugees and asylum seekers for over 20 years and is very committed to this work and to broader human rights causes. She has worked with individuals, families and groups and has been very active in strengthening partnerships and relationships with various refugee services and schools. Jasmina says that working in partnership with agencies, having the same goals of improving humanity and human rights for people from refugee backgrounds, is deeply rewarding. 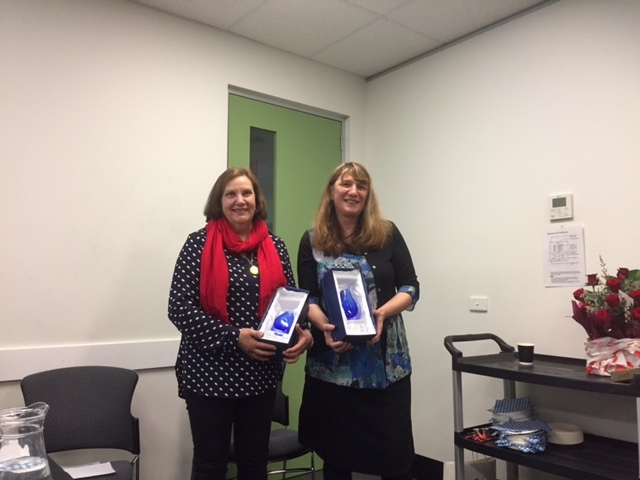 To Jasmina and Gitta – warmest congratulations and good wishes from all of your colleagues at Foundation House.